Cultivating a beautiful garden is not an easy task. It is a process, which requires regular upkeep, effort and a lot of free time that not everyone has. Every garden is special, so we carry out a bespoke gardening service for every single one of our clients. We try to make the most out of your garden's natural assets and that is why our services are not overpriced. 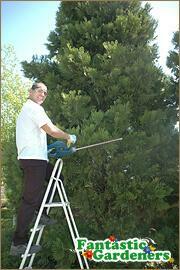 A fully customisable service - Regular garden care, flexible hours, 7 days a week, including public holidays. Affordable prices - We offer reasonable prices, which correspond to the quality of our services. We also provide free quotes over the phone or through our the chat service! Top-notch customer support - Our kind customer representatives are at your assistance from the moment you book with us till the day of your appointment. Complete care for your garden - From garden maintenance & lawn mowing to tree services, and green waste removal. Fantastic Services can additionally provide pressure cleaning for your outdoor tiles and handyman services for your garden furniture and installations. Immaculate attention to detail - The gardeners are not only qualified and experienced but also very precise. This is one of the many reasons for our high satisfaction rate. Expert advice - While the professional gardeners perform the service feel free to take advantage of their expert knowledge and ask for advice. Note: some jobs require on-the-spot viewings. 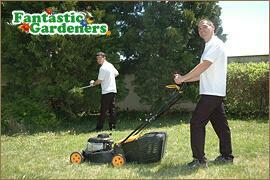 Why choose Fantastic Gardeners Melbourne? Booking garden care with us gives you flexibility not only with service variety but also with scheduling. When you book with us, you get qualified, experienced gardeners at your disposal. Thousands of successful jobs and satisfied customers testify to our quality of work. Our clients' needs are important to us. This is why our experts will consult you at every step of the way to ensure everything is done according to your preferences. All tools and gardening supplies are included in the final price. Contact our customer support team and ask them anything. You will receive detailed information on the services and discounts we offer. Most importantly, we treat your clients with the respect that they deserve!